Julie Rhett Sheppard Harrell of Dadeville, Alabama passed away on October 27, 2018. She was born on May 23, 1938 in Montgomery, Alabama, daughter of Joseph Augustus Sheppard and Nancy Jones Sheppard. During her childhood she lived in Montgomery and Verbena, Alabama. Julie graduated from Clanton High School in 1954. She attended Auburn University and graduated with a bachelor’s degree in elementary education in 1958. On June 17, 1959, she married Roy Wallace Harrell, Jr. of West Point, Georgia. Julie and Roy were longtime residents of Mobile, Alabama, Lagrange, Georgia, and Dadeville, Alabama. 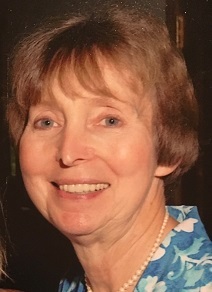 Julie was a devoted mathematics teacher at Azalea Road Middle School in Mobile and Gardner Newman Middle School in Lagrange. She particularly enjoyed coaching teams for math competitions. She gave back to her community through her leadership in Girl Scouts in Satsuma, Alabama and involvement in her local Methodist church. Throughout her life, she loved her many dogs and horse, Sonny Boy. Julie had a passion for gardening and was an accomplished seamstress, both hobbies put to good use while raising her six children and caring for several family homes. She enjoyed living on the lake, boating and water skiing. Staying connected to family, both immediate and extended, was a great joy to her. Julie and her cousins would often organize family gatherings bringing together three and four generations, a tradition that continues today. A role model of compassion and kindness to many, she was always generous and gracious with her friends and family. She was a loving and kind daughter, sister, wife, mother, aunt, and grandmother. Julie is preceded in death by her daughter, Nancy, husband, Roy, sister, Roxanne, and parents Joseph and Nancy. She is survived by her daughters Sarah Brownlee of Tampa, Florida (Hunter), Louisa Patterson of Auburn (Paul), Amanda Hensley of Dunwoody, Georgia (Brett), and Hannah Lind Albers of Albuquerque, New Mexico; her son Roy Wallace Harrell, III of Atlanta (Lindsay); nine grandchildren, Roxanna, Virginia, Amanda, Christine, Clayton, Julie, Jane, Georganna and Hunter; and two great-granddaughters, Ellen and Zoë. A memorial service will be held at the Auburn United Methodist Church Founders Chapel, on November, 18, 2018 at 3 pm. Memorial gifts may be made to the Sonny Boy Endowed Fund for Excellence in the Auburn University College of Agriculture. Checks should be made payable to the Auburn University Foundation and mailed to the College of Agriculture Office of Development, 107 Comer Hall, Auburn University, AL 36849. Jeffcoat-Trant Funeral Home and Crematory is directing.